Bones star Emily Deschanel has a new TV home — she's joining Animal Kingdom's upcoming fourth season. According to Deadline, Deschanel will have a recurring role as a character named Angela. Angela is "Julia’s (Pope’s deceased twin sister) former best friend who was recently released from prison." She's "a recovering junkie who arrives at the Cody house trying to snake her way back into the family’s good graces." She’s a "survivor, scrappy, and manipulative and Angela’s history as Julia’s drug buddy gives her power as she tries to seduce Pope (Shawn Hatosy), is hated by J (Finn Cole) and under suspicion by Smurf (Ellen Barkin)." Her addition comes as Scott Speedman’s Baz died at the beginning of the third season, and currently, the Cody men are all fighting for power. 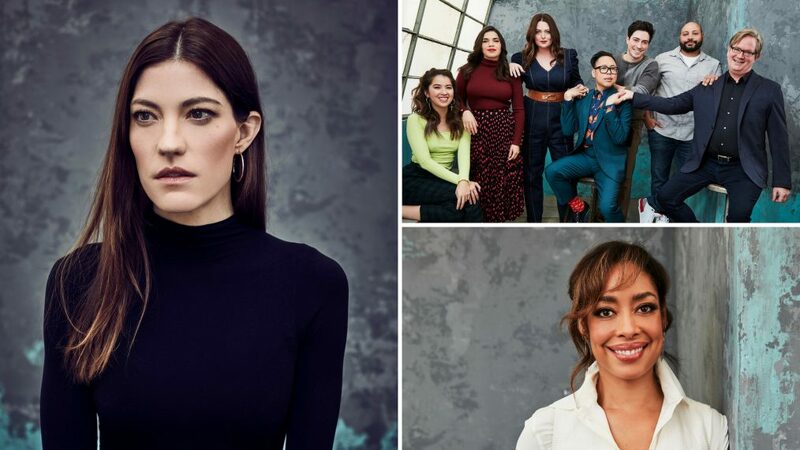 Barkin, along with Hatosy, Ben Robson, Jake Weary, Finn Cole, Molly Gordon and Carolina Guerra, are all expected to return as their characters. Deschanel previously starred as Dr. Temperance "Bones" Brennan on Fox's crime dramedy Bones for 12 seasons. The series ended in 2017.